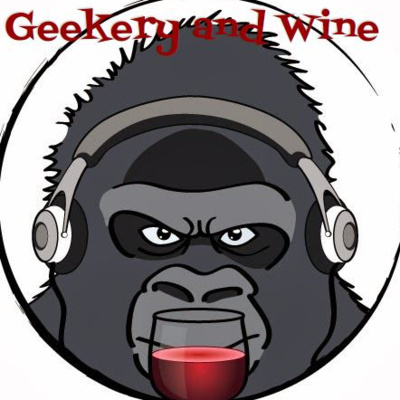 Welcome to Geekery and Wine, a podcast about all things Geek, some things Wine with a touch of audiobook goodness in each episode. Waxing nostalgic about Dungeons & Dragons and its ubiquity in my life. A quick stop to talk about Moldvay Basic and the Planescape campaign setting. Mixed in with some wine-blend notes and a word to the wise about why young men in their 20's shouldn't be allowed to name their LARPs. Carnival guessers and boxes filled with 88 scents are thrown in for flavor and good measure! In the Very Special Episode series within Geekery and Wine, today we have "The Nice Version" of The 11 Laws of Showrunning by Javier Grillo-Marxuach, writer on Lost, Dark Crystal: Age of Resistance and Cowboy Bebop. Javi also created The Middle Man comic and TV series and authored the comics Animal Badge and Ramiel: Wrath of God. The full book of essays, Shoot That One which also contains "The Mean Version", comes out February 14th, 2019 on Audible and iTunes. Give this to anyone who manages creative people. It'll make the world a little bit better! It's all about romance and Dark Knights in this episode. Talking about Angosto Tinto wine as well as the video game Florence, the graphic novel, My Boyfriend is a Bear and the making of the audio book Batman Unauthorized...and maybe embarrassing bits like Zorro notes, "timely illness," and the proliferation of New England antique stores. A spirited mosey with the Avalon Hill board game, Betrayal at House on the Hill, Portuguese Wines in pre-school with Charumba, and audiobook liner notes for Cross Dressing, a book that is soooo not what you think it is! A jaunty stroll through the career (so far) of Wil Wheaton, Mar De Frades as a taste of Spain and audiobook liner notes for the psychedelic weirdness that was the creation of Sandstone. A wild ride through Black Panther in multiple media, the $10 rule and audiobook liner notes for the 2012 release of Alexander Jablokov's Nimbus. The panel Not All Geek Ears are Pointy at Granite State Comic Con 2018. Full Cast Audio Drama, Review Shows, Talk to the Creator Shows, Audiobooks and everything else audio. Fourth in a flight of four. Discussing the game Plants vs. Zombies, Seven Terraces Pinot Noir and the audiobook Werewolves of War as well as being ordained as a minister for a friend's wedding. The third in a flight of four. Discussing the video game Destiny, Tremo Tempranillos, Call of Cthulhu, D&D and homebrews as well as liner notes for the audiobook The Supergirls. The second in a flight of four. Discussing the popular anime, Death Note, the live action film, Barolo wines, and liner notes for the audiobook Pest Control. 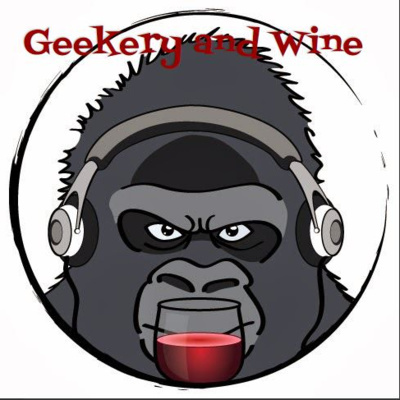 2nd episode for oenophiles who like the worlds of geek and nerd. A remastered beginning to let all the geeky winelovers know what is in store!